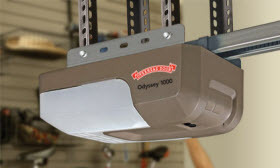 The Odyssey® 1000 residential garage door opener is available with either a belt or chain drive. Its ¾ HPc* motor delivers all the power and speed needed to operate almost any garage door quickly and smoothly for convenience. Soft start and stop reduces wear and tear on your garage door, and the DoorDetect™ monitoring system improves overall safety. Quiet yet powerful 3/4 HPc* DC motor operates with minimal noise. The chain drive provides smooth and reliable operation. 5 year limited chain 5 year limited parts 1 year accessories. When objects pass through the infrared beam, the door automatically stops closing, and then reverses. The system\'s self-diagnostic functions alert homeowners of misalignment or damage. Automobile convenience features. Compatible with HomeLink® and Car2U® systems. The large push buttons make for easy operation and convenient control of the opener light. When away for extended times, the Sure-Lock™ feature disables the remote\'s access to the garage for security. Easy wall-mount installation. Let\'s you know if you closed your garage door. 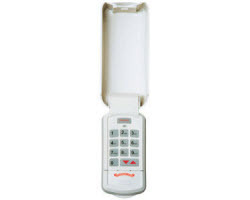 Entry to your home is even easier with a Digital Wireless Keypad from Overhead Door. No need for remote controllers or keys. 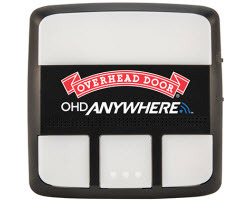 With the OHD Anywhere™ you can control and monitor your garage door from anywhere with your Apple® iPhone or Android phone or device. 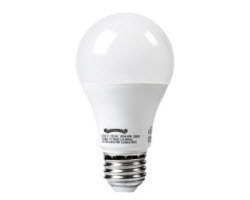 The Overhead Door LED garage door opener light bulb has been specifically designed and tested to reduce or eliminate remote interference with most garage door openers.